Carl Froch lost his WBC super-middleweight title as he was outclassed by Andre Ward in the Super Six final in Atlantic City. Froch failed in his bid to become Super Six champion as he suffered a unanimous points decision loss to the classy American. 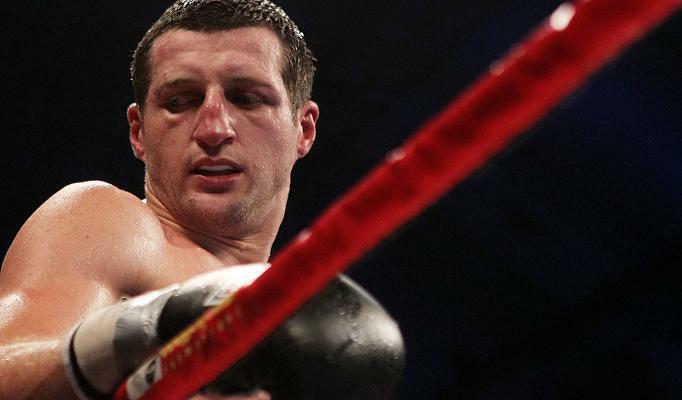 In truth it was hard to give Froch too many rounds as he was made to look slow, ponderous and distinctly poor by Ward. Ward boxed superbly throughout, using his jab to great effect and landing numerous left hooks. Ward even managed to surprise Froch, and many others, by being the bully; backing him back onto the ropes throughout the fight. But Froch never gave up and displayed a true warrior’s heart and fought till the very end. On a side note, two of the judges’ score cards were just well; laughable. I’m still left wondering how the Canadian and American judge scored the fight 115-113 to Ward. Had the British judge, who scored the fight a more credible 118-110 to Ward, scored differently we could have had another “controversial” decision. I’m well aware all judges look for different things when scoring a fight but there is no way that fight was as close as the American and Canadian judge scored it. Something seriously has to be done in the future regarding the judges’ scoring. Froch now joins a long list of British fighters who have lost their titles abroad, but remained dignified in defeat unlike some. The question now is where does Froch go from here? His career is by no means over and there are a few fights still out there for him. 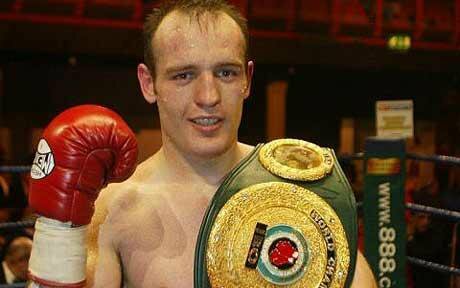 He could go on to fight Lucian Bute, a rematch with Mikkel Kessler or even move up to light-heavyweight and fight Nathan Cleverly. Froch still believes that he could “get Ward” on a good night but after watching the performance on Saturday, I just cannot see it. Ward is too classy and quick for Froch and a rematch would likely result in another clear victory for Ward. However the other fights should hold no fear for Froch. Bute has never really fought anyone worth mentioning and has been very protected up in Canada. A rematch with Kessler would allow Froch to write a wrong and a fight with Nathan Cleverly would be a fantastic war and would make some serious money in the UK. Anyone of these 3 fights would be fantastic and Froch would have a fantastic chance in any of these fights. Froch should hold his head up high though. He fought like a true warrior and never gave up, fighting till the very end. There is no shame in losing to Andre Ward (a fighter who has grown on me throughout this tournament), who by all accounts will go on to be a future P4P king. Brian Magee has the opportunity of a lifetime as he goes for Lucian Butes’ IBF Super-Middleweight title tonight in Montreal. Magee, who holds the European super-middleweight title, will attempt to defeat the highly rated Bute as he tries to bring a world title back to Northern Ireland. The super-middleweight division is looking quite hot right now with the likes of Carl Froch and Andre Ward holding WBC and WBA titles respectively. Bute, to me, stands alongside them as the divisions best and I can see nothing but a KO victory for hard-hitting Canadian. No disrespect to Magee, who is a fine champion in his own right, but this sort of level is just a level too high I’m afraid and I believe Magee will be exposed inside 7 rounds. Magee will have to show plenty of heart and determination to get anything from this fight and if he is to bring back the world title, he’ll have to do it via KO. There is no way the Canadian judges will let him leave with the title if it comes down to the cards, just ask Bernard Hopkins. 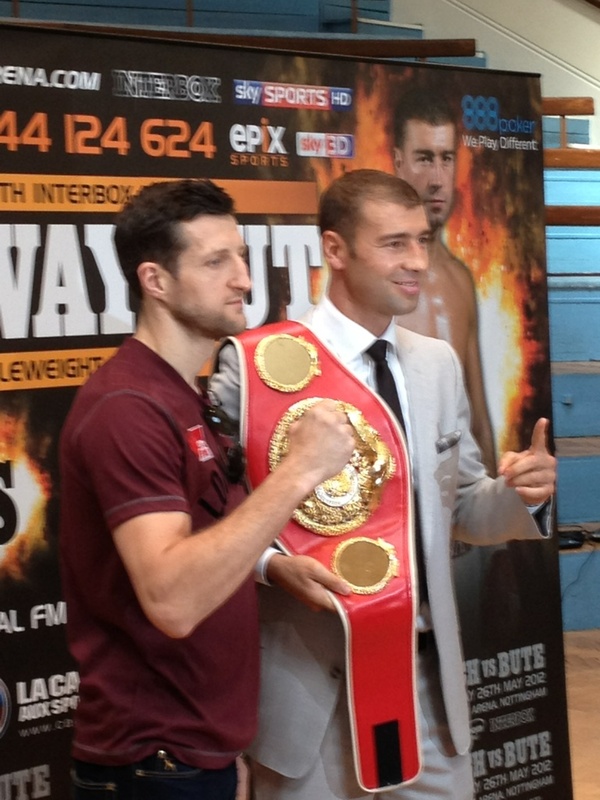 But, as I said earlier, I think Bute will win via KO and then hopefully fight the winner of the Super Six in a unification bout, which hopefully will mean a fight with Nottingham’s own Carl Froch. Who knows, by the end of this year Britain could have its fair share of undisputed world champions if everything goes to plan. The future is definitely looking bright for British boxing.